Not sure if I told you, Mi, although I’ve been talking nonstop to you in my head, we bid our beloved futon farewell. Yep, in line with my urge to purge, I made a list with Vidur’s help and consent. 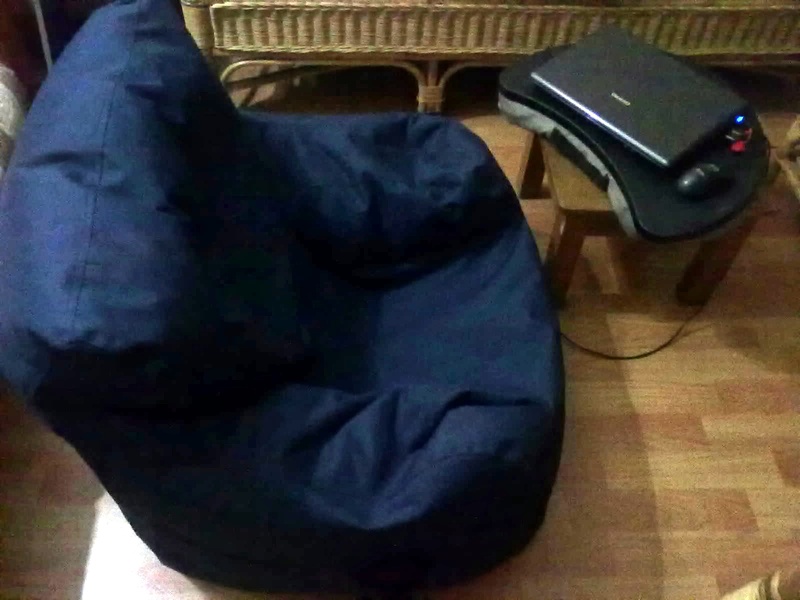 In the list were the futon, full of memories, the second vacuum cleaner bought because it was cute and never used, the bean chair lovingly gifted to me on my birthday by him and Sury in which I never sat and so on and so forth. Thanks to a couple of Facebook groups where I listed the items, they got sold. I know I did the right thing and of course you’d have patted my back, but still, I felt a tinge of sadness – or rather wistfulness to see them go. For one thing, we were using the futon for nothing. At the most, we’d place the clothes brought by the presswala and then, clothes to be pressed. Of course, I would dust it regularly and it looked shiny new when the person who bought it came to take it. The Miele vaccuum cleaner was the same. Sitting in its packing in the macho pichu probably hoping someday we’d open it and give it a whirr. But no. It was destined to live elsewhere. I still laugh to think we bought it because it was such a cute orange. I grimace to think that we only plugged it in once to check it during a demo. Ugh. The bean chair went first, actually. With my penchant for sitting straight, although I pretend I love hammock and easy chairs and whatnot, I never once used it. I am guilty to think I used it as a surface to hold my bags. Anyway, it has found its true home. Now next, I want to sell that woven chair and the little oven and also look around our house to see what I can give away or sell. I will then use the money to do something for the Sri Sai Old Age Home. Let’s see. Oh! Did I tell you that curd is now a challenge? The usual set curd we bought? All have raised their pricing ridiculously. Making curd at home doesn’t work because our Nandini milk is really not able to set – it turns out to be more of a buttermilky consistency. And anyway, I’d say this is our only indulgence, wouldn’t you? So I did rejoice when good ol’ Nandini introduced set curd. But the rascals, I don’t know how they make it and when we use one container, we find a lump of powder at the bottom. They probably curdle it direct into the dubba. Also, it doesn’t always taste nice. 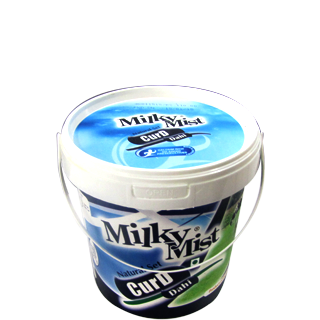 So last week, another sigh of relief when I found a 1 kg container of curd. I had to giggle when I ordered it because not long ago, I had a good laugh looking at it in the store. I thought ha ha, as if we’d buy that. Who knew that day would come sooner than I anticipated! Now the other day I saw a 2kg tin and I stayed sober. No laughter. Funny thing is, the 1 kg tin looks exactly like a paint/distemper container that when Sury opened the fridge he asked me why a paint tin was inside the fridge. Still, the curd is not bad at all. Reminded me of the time when I used to finish off the curd at home. That time when P was born? And these people were expected home for dinner with news of her birth? Those days we didn’t even have a phone at home and had to rely on the visitors to hear the news. I also remember there was a bandh and the few veg shops were selling veggies at exorbitant prices. Nevertheless, we had made stuffed capsicum, stuffed karela and a load of other yummies for our guests. We got so tired waiting for them that I thought I’d just have a little curd. Except that’s not what happens with me. I ate straight from the container and finished it off. To this day, I feel guilty if I finish an entire container by myself. So funny. And that 1 kg curd container, I always sing “fetch a pail of water” when I carry it by the handle from the fridge to the kitchen. Check out the bouquet above. Nice no? Different colors, too. I admired it from different angles and clicked a few more photos than absolutely necessary!